AT&T's New Sponsor Sudafed - "Congestion Relief for Our Network"
Wi-For-Free - Why would we want to use a free back-haul service like Wi-Fi? What are femtocells? - They are 2G, 3G, 4G, LTE or Wi-Fi wireless device that has been specifically designed for cell phones and used it is used to enhance cell phone reception indoors and lower cell phone costs at the same time. Femtocells are typically used to relieve network congestion, dropped calls and areas that have no cell phone reception. What is more annoying than not being able to reach someone on their cell phone? Dropped calls, dead zones and network congestion. This is such an important issue and some speculate the coverage has actually gotten worse over the last few years as smart phones start to dominate the network traffic. Leading industry analysts and wireless carriers keep statistics on this matter. According to Change Wave Research, a leading industry research company in the wireless sector, found that AT&T was the leader in this wireless category with approximately 4.5% of dropped calls in January 2010. We don’t necessarily believe this extent of this recent published research due to AT&T’s network problems and expect to see some more research on this topic in the weeks to come. So, if this so important, what are the top 10 cell phone reception issues? Network coverage. In the US, there are 4 major mobile telecom service providers and approximately 200 regional wireless telecom providers: AT&T Wireless, Verizon Wireless, Sprint, and T- Mobile. One of the main competitive advantages of being a large mobile service provider is to have nationwide network coverage. Recently, Verizon Wireless claimed to have better 3G network coverage and AT&T Wireless, but this is a bit misleading due to the fact that 3G coverage means data coverage. Voice traffic is still predominantly carried over the 2G networks. So, if the wireless carrier does not have adequate coverage in your area, it could be a leading factor to your cell phone reception issue. Cell site capacity. Another issue is contributed by channel capacity of carrier cell towers. Most cell sites can handle a finite number of simultaneous users. Cell towers can typically handle up to 500 simultaneous voice users at once while drastically less and only about 50 data users. Once this capacity has been reached, the base station controller (BSC) rejects the calls or data connection which end up dropping those calls. You may often see full bars on your phone which is a good indicator of network congestion. This finite capacity is calculated based on Erlang calculations. Geographic topology. Sometimes, the wireless signal can get “bounced” due to geographic constraints such as water, buildings, hills and trees. The wireless signal gets dissipated and lost which minimizes the optimal connection. Cell phone antenna issues. Most cell phones these days have internal antenna for reception and communication. Therefore, the size of the antenna is restricted by the form factor of each cell phone. Human interference with cell phone antenna. This is the most recognized issue especially with the gaffe by Apple and their most recent iPhone 4G. Due to the fact that the hand placement on the antenna can dissipate the signal, the cell phone would lose the wireless connection. 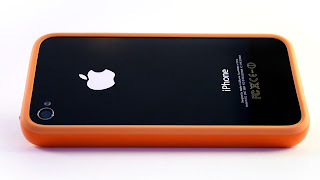 Simple guards such as “bumpers” or cell phone cases can minimize this issue. Signal handoff. Due to the mobility nature of cell phones, sometimes the handoff of signal from one cell tower to another gets mixed up due to signal dissipation and network errors. Most of the time, people experience this while they are driving. Roaming authentication. 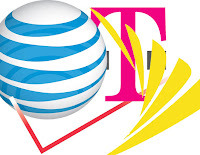 Although most of the coverage purported by the carriers appear to be their own network, some of the coverage is offered by other network operators in strategic alliance with the major carriers. These relationships are known as roaming partnerships. Sometimes, the visitor location register (VLR) does not sync with the home location register of the carrier’s back-office which does not complete the settlement between the two operators. Today, most of this is masked due to elimination of roaming charges to the end users with the carriers simply rolling in these roaming usage into one voice plan. Long distance handoff issues. Cell phone users take for granted that they can make long distance calls outside of their toll area since it is rolled into their voice plans. However, when there is a communication error from the Long Distance provider and the carrier’s network, the call cannot go through. Network outage. Sometimes, weather has impact on the telecom network. When the cell tower loses power access, the signal is lost for a short duration. Building penetration. When you are indoors, there are times that you will lose your cell phone reception. 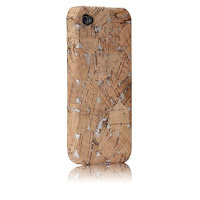 This is due to the signal dissipation through the concrete as well as through other materials. Some building owners implement cell phone repeaters (picocells) to help improve this issue. So, even though these are the majority of the factors that could hamper cell phone connectivity, sometimes, you just have to check to see if you have your antenna operating on your device before you can blame the carriers. Author: John Shin is a featured writer at a new ask an expert site. Visit Yoexpert.com for more info. 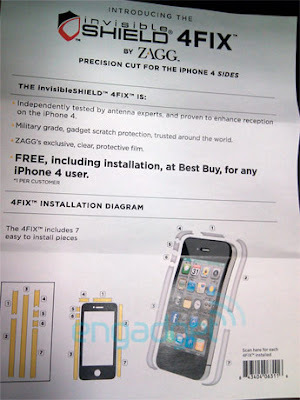 Get a free Invisible Shield 4fix case if you purchased your iPhone 4 from Best Buy / Best Buy Mobile or you are a Best Buy Reward Zone member. It is pretty to sign up for the reward program at any store. The official Best Buy name for the product you'll be getting is the Zagg Side Shield, which would cost you $9.99 otherwise. Seems like a nice promotion to get you into the store to purchase other products and accessories. See Zagg's invisble shield web site for the full product review. AT&T or Apple Have More Reception Lies? 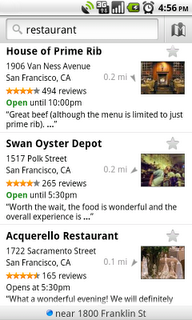 Google Places is a "killer mobile map search tool" for finding nearby businesses and other points of interest. With Places users can easily search locations on an Android phone by categories making local search faster. This tool has the potential of bringing in a lot more monthly advertising revenue for Google than existing data / voice subscription based business models used by the big 4 carriers. This tool has been a very successful advertising tool for local and small business retail owners who are constantly trying make their business noticeable amongst the giant retail chains. I think if Places GPS is always left on for tracking purposes a user should be rewarded with free or subsidized data subscriptions (paid by Google) from their respective carrier. Free wireless WILL HAPPEN EVENTUALLY and it will be extremely disruptive to the dumb pipes of AT&T, Sprint, T-Mobile and Verizon who don't have a clue about how to build a location based advertising business organically. Verizon will likely have to build a stronger partnership with Google or purchase a company like Nokia / Navteq (Maps) to in order to compete. AT&T will likely "ride the coattails" of Apple again using their new map ad service on a revenue share basis or buy a company like TeleNav. Apple is currently developing their own maps internally and it will be a year or so until they are able to compete. The other "wild card" is Facebook and it remains to be seen if Microsoft can buy or build something compelling on the phone using their Bing maps. 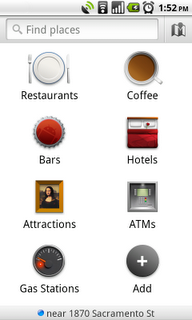 On Android-powered phones with Google Maps 4.4, users will find the new Places icon in the app launcher. If you press and drag it right onto your home screen to use it when you’re looking for a restaurant, shoe store, movie theater or any other type of local business. Using GPS it will give you a detailed list of all the nearest places and can choose one to learn more about it on its Place Page. You can also search for several convenient types of places with the default categories or add your own for your most frequent searches. You can also use the search bar at the top to type or speak any query. See the video to understand the business proposition in further detail. Much has been made in recent weeks over the iPhone and its reception issues, from pundits' gleeful Apple-bashing to Steve Jobs' spin job. Critics and rivals alike have taken their shots with relish; Apple is seen as the new Microsoft, a monopolizing giant. What is ironic about this perception, however, is that Apple's antenna mistake and response to criticism actually reflect the opposite: other cell phone companies have caught up with the iPhone. 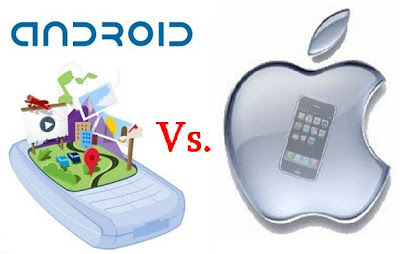 Phones such as the Droid X and Evo 4 are loaded with features, and have been developed so rapidly that they now compete on even terms with the iPhone 4. It is this same rapid pace of development, however, that threatens the future of the market. The mobile phone market used to rely heavily on the principal of planned obsolescence. For some time now, we have seen planned obsolescence put to good use in the mobile market; why release all the features now when you can sell another phone 6 months down the road? Today, though, we have a much different problem: quality control. With so much pressure to produce as many features as possible in such a short period of time, companies are prone to rushing their products to the market before they're ready. 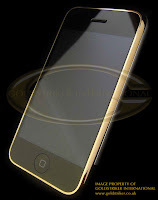 The iPhone's antenna is only one (glaring) example. The Evo, for all of its beauty and "wow!" factor, has been proven to be a bit glitchy, and its battery relatively weak. New Android software written for the Droid X lacks the polish and finish of previous iterations. The fact remains that as the mobile market become more concerned with features and image and less with quality and functionality, we will continue to see an increase in software glitches, hardware performance issues, and new "features" that offer far less than meets the eye. We can only hope that Apple's big embarrassment will spur proper caution and clearer thinking for the future. One of the biggest challenges for wireless carriers to improve coverage is to get over the city zoning and objections from local residents. 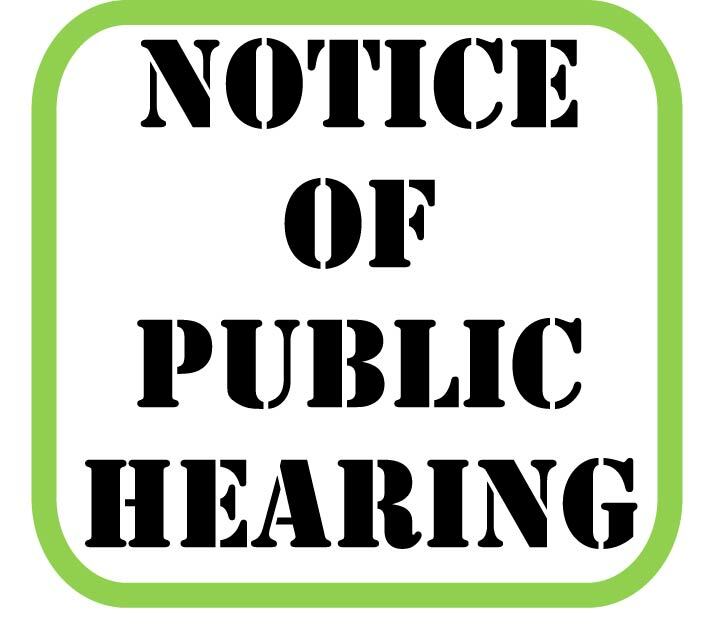 Most cities will issue a "notice of a public hearing" where neighbors to the property are notified of the proposed cell phone tower or distributed antenna system. 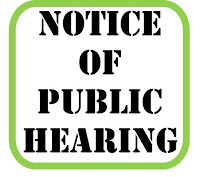 There hearings are typically public where residents are allowed to comment on the tower or the problems in the area. Its not often to see wireless carriers spending up to $40,000 on a zoning hearing to get approval. 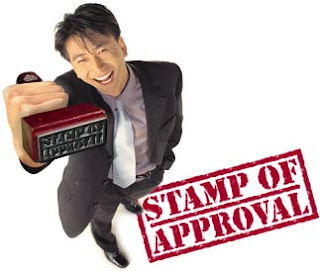 The process can take upwards of two years in some jurisdictions, and there is no guarantee that approval will be granted. The carrier must prove to the city that there are issues with coverage in the area and typically hire RF planning engineers to drive test and map the area for cell phone coverage problem areas. This method of testing only works well if the engineer can simulate all phone problems, for all carriers during all times of the day which is virtually impossible. Thus, the reason why we created the "Consumer Generated Coverage Map" to allow mobile phone users throughout a city to anonymously submit coverage complaints to a shared public map. The dead zones, dropped calls and data congestion public data can then be used by city planning officials, wireless customers, carriers & engineers as tool to evaluate coverage in a particular area and identify problem areas. City planning commissioners can simply contact us for a free city summary report. 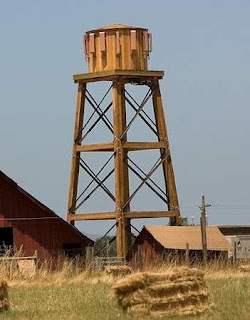 Unless the underlying jurisdiction does not require any zoning at all, most cell towers and DAS antenna sytems must be approved by the local land use office prior to being built. In some cases, this is as easy as applying for a building permit from the building permit office. Many jurisdictions have created more stringent regulations on the placement of cell towers. 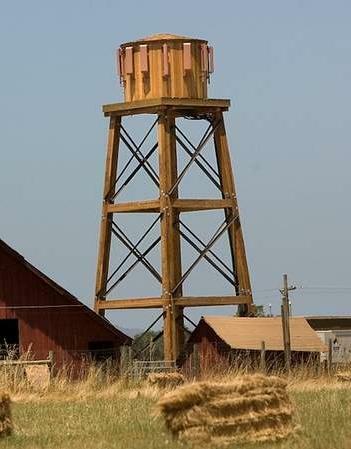 Since the Telecommunications Act of 1996 was enacted in the US, local jurisdictions are not allowed to "prohibit" the placement of communication towers. They are allowed to regulate how and where the towers are placed as long as the overall impact is not to preclude wireless service. John Doerr and Milo Medin visited the FCC on July 13, 2010 with a great plan to disrupt the dishonest marketing and overpriced wireless services offered by the 4 giant telcos. They would provide 768K wireless free across 95% of the U.S.. Even with a good deal on the spectrum, it will require investing $5-7B before break even. Doerr is a legend who was the money behind ad supported Google and eCommerce giant Amazon and a dozen others. Milo built most of the cable networks in the U.S. as CTO of @Home. Their audience included the FCC Chairman and six chiefs. Julius Janikowski is taking this seriously, and Doerr is confident they have the cash needed. There's essentially no downside to Julius saying yes except the predictably violent opposition of the incumbents. The 4 giant wireless telcos are screwing Julius so many ways he might just go ahead. Doerr's partners include Al Gore as well as Republicans Colin Powell and Tom Perkins. The Senate is pressing Julius hard because he's not doing enough on affordability. This wouldn't have much impact until 2015 or so, but is a partial answer at the very low end. Doerr and Medin are looking for the 2155-2175 AWS-3 spectrum. That 20 MHz is as much as Verizon is devoting to a worldclass LTE network, although at the higher frequencies far more towers would be needed to match VZ. The business plan begins with selling at market rates the higher speeds and probably voice. Doerr is on the board of Google, so they've presumably have thought through the advertising. Google put $3.5B on the line for spectrum in the hope of breaking the wireless cartel and has advanced $billions to win ad contracts from AOL and others. With over $20B on Google's balance sheet, they are a natural source of financing. They promise to reach 50% of the country by 2016 and 95% by 2021. The technology will presumably be LTE, for which inexpensive gear should be widely available in 2013-2015. They would require radios on 3,000-10,000 towers in 2016 and can plan the build for where towers and backhaul are available at competitive prices. They also will have a natural partner if Harbinger makes it. Some think that a long shot, but Phil Falcone just filed for a $400M debt offering for Harbinger. I am disgusted by how our media and Wall Street reacts to such old news from a tired consumer magazine that has no credibility in mobile. Consumer Reports may still have a large audience but they have been very lazy about providing any value to the end consumer. We talked to them years ago about helping us get distribution for our converge maps but they were afraid to piss people off. Consumer Reports should have been covering the iPhone & AT&T topic years ago when it launched but they did virtually nothing. We have been sticking our neck out for consumers and vigorously reporting on the topic for almost a decade and get virtually no credit for any stories in the media. Yet, Consumer Reports decides to finally break the news that the iPhone has antenna problems just pisses me off and tells us that the media ponzi scheme is still hard at work protecting their turf. Read our work on the iPhone and AT&T topic from DeadZones.com iPhone articles (54 articles). A decision by Consumer Reports against endorsing the latest iPhone because of reception problems threatens to tarnish Apple Inc.'s reputation, yet fans who have braved poor reception for years are likely to keep buying the product. In fact, some analysts say Apple could simply ignore calls by bloggers and others to recall the iPhone 4 or offer free cases to mitigate the problems. As of Tuesday evening, Apple hadn't returned phone calls or e-mails about the Consumer Reports critique, which the venerable arbiter of product quality posted on its website Monday. While some Apple watchers find the company's responses to the reception issue objectionable, they don't see any penalties for Apple if it does nothing further. Read AP Article. The femtocell industry has been waiting to take off for almost a decade due to slow adoption from the telecom industry and reluctance from cable operators innovate. It appears as if we are about to "cross the chasm" of growth into the mainstream consumer as the "femtocell" or "microcell" topic becomes more widely understood. There has long been a healthy debate in the telecom industry if femtocells and Wi-Fi will even coexist as Wi-Fi has become ubiquitous throughout the world and is a viable offloading option for mobile phones. However, as we have all seen by AT&T's iPhone fiasco that control over the voice network seems to be most important as data speeds and capacity get larger and larger. It also remains to be seen if the cable operators will continue to stick to their stance that Wi-Fi is their solution and they don't intend to purchase femtocells at this time. Two leading femtocell developers based in the UK have seem to be getting the most traction around the world with carriers and have recently announced new funding rounds. It is great to see VC's continuing to fund the operations of these companies who are have been slugging it out for many years. See our list of femtocell companies funded back in 2008. Ubiquisys, a UK-based developer of 3G femtocells, has just raised $9 million in new VC funding and a total of $57 million so far. The new money is going to be used to meet the demand from many carriers testing across the world. Yasuda Enterprise Development Co. led the round, and was joined by return backers Advent Venture Partners, Accel Partners and Atlas Venture. The latest round comes from a combination of 5 new investors: Continents Consulting Group (5CCG), Yasuda Enterprise Development Co., Advent Ventures , Accel Partners , and Atlas Venture. Ubiquisys, which also has Google (Nasdaq: GOOG) and T-Mobile Venture Funds as strategic investors, has its femtocell technology commercially deployed at SoftBank Corp. in Japan and SFR in France through its systems integrator partner NEC Corp. Rumor has it that AT&T may be announced soon in the US as well. Read full article on Light Reading. PicoChip recently raised $20 million influx of funds. UK femtocell chip maker picoChip Designs Ltd. has announced that it has raised an additional $20 million in equity funding and sold 1 million femto chips. All of picoChip's existing investors participated in the latest funding round, namely Atlas Venture , Highland Capital Partners, Intel Capital, Pond Venture Partners, Rothschild, Samsung Venture Investment Corp. and Scottish Equity Partners. With the new money, picoChip wants to hire more engineers in its development centers in Bath, England and Beijing. The company plans to increase its 150-employee base by between 25 percent and 30 percent. PicoChip's has sold 1 million femtocell chips. AT&T "Rethink Possible or Impossible"? Donovan said, “its hard to narrow down to one choke point.”, “I’ll tell you the things it’s not been,” he dodged, slickly soundbiting, “it’s not been a capital problem, it’s not been conviction or commitment, because we have both.”, "AT&T has to pay attention to everything from the apps all the way down to the chip, because you can have a great experience on the software side, but a bad experience on the network and ultimately that leads to a failed device.” Read full article. I like the song in their new commercial "Rethink Possible" and the animation is cool but isn't putting blankets over buildings "implying coverage" kind of patronizing considering most of your customers can't talk on their phones indoors without one of their MicroCell or also known as a femtocell. It looks like femtocells may soon be used to serve sparsely-populated rural areas that are conventionally thought of as uneconomic to install a cell phone tower. Femtocells can now serve as "instant economical infrastructure" to help emergency services or rural residents who are just fed up getting the run around from their local carrier or cell phone tower companies. Getting the attention of carriers to install new cell phone towers has been the frustration of many wireless customers who live in remote areas. Femtocells can now provide an economic alternative to to ugly and expensive cell phone towers that often require multiple carriers piggybacking upon a new development site. Roke Manor Research a Siemen's company has developed the world's first 3G Wide Area Coverage Femtocell capability. Using picoChip's technology as the development platform, Roke's reference design has a 40km range which delivers more than 40,000 times the area covered by most other femtocells. It is also the first to support full mobility at speeds of up to 120 kilometres per hour, allowing mobile users to travel while connected to the 3G base stations. The femtocell will support up to 12 simultaneous users, with Release 5 HSPA and a software upgrade to Release 6. Femtocell basestations offer a low cost and low power solution for implementing a WCDMA network. However, they are only suitable for short range communications of around 200m and as such are ideal for home networks. Roke, however, can now offer all the benefits of a femtocall (small size, weight and power consumption) with an enhanced range of up to 40km. Roke has demonstrated a reference design on a picoChip PC202 platform. The Physical Layer code has been modified to extended the coverage area by 40,000 times whilst maintaining full mobility. In essence, the Roke modifications permit a macrocell performance in terms of range and mobility within a fetmo hardware platform. The modified solution has been tested on-air at ranges up to 25km and vehicle speeds up to 120km/hr. It appears that the AT&T's "most valuable customers" are now receiving free MicroCells or mini-cell phone towers to boost their home or office cell phone signals. Today, an Engadget reader got a letter in the mail, offering his iPhone friendly family a 3G MicroCell with no strings attached. All he had to do was present the letter at his local AT&T store, he got the product for free. Read Engadget Article. We are not surprised that AT&T has moved in this direction and is now taking steps to likely give away the product for free and eventually inside of their U-Verse. We speculated earlier this year that AT&T was going to spend almost $1 billion on free femtocells and infrastructure and this is just the beginning. We have also heard rumors that AT&T has been testing other femtocell manufacturers and this could be a way to move some inventory "off the shelf". We think this version for $180 as a stand alone MicroCell is going to be obsolete very soon AT&T starts to embed a Microcell inside AT&T's U-Verse Set-Top Box DVR. We are not quite sure what criteria will get you the "valuable customer" status yet but here are some ideas below that might help get you a free MicroCell. If you know of any other factors that could help influence AT&T to give you a free MicroCell please submit in the comments below or email us. We get hundreds of emails from property and landowners who are interested in leasing their land for a cell tower. Here are some ways we have discovered are effective at getting a new cell tower. There is no consistent formula for making it happen because each location has different requirements. However, these factors will come into play when carriers are considering your property: distance to adjacent towers, population density, broadband providers in the area, customer density, city zoning laws & public safety. Wireless companies will not build a cell tower on your property unless it fills a business need for them and there is a critical mass of users in the area. These areas are commonly known by the towers companies as "search rings" when a carrier is looking for land to lease, you are out of luck. "Search rings" are continuously changing and expanding in the US as coverage seems to get worse and capacity demand increases. Unfortunately, wireless carriers are not very transparent about where their areas are and make it virtually impossible to get the information unless you know the local carrier network operation team. 1. The cheapest and quickest way is to purchase and install a femtocell (mini cell phone tower) on your property which only covers 5,000 square feet on average and works for approximately 8 registered phones or people on your network. This is not for public access but can fix problems for one carrier only especially if you are in a remote area. Costs range from $100-$300 and require broadband services on the premises for back-haul. See our List of Femtocell Manufacturers. 3. The 3rd option is to contact a tower or DAS (distributed antenna system) development company like American Tower, Crowncastle, Tower Co, SBA Communications, Public Wireless, NextG Networks or ExteNet Systems. They place a cell tower, DAS system or public femtocell (ie. 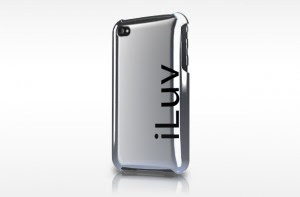 Ubiquisys) on your site and cover the costs to build and market the site to the wireless carriers. They usually keep about 75% of the rental income for first 6-10 years to recover their costs and then usually split the income after that period. Many municipalities and states like New York have contracts like this to develop their sites. Development often overlaps with police and fire safety communications in these cases. 4. The 4th method is to have wireless RF engineer / consultant or cellular site management firm market your property for you to the carriers. It will still cost you a percentage of the rental revenue but the management fees are lower, usually about 25%. 5. The 5th method and becoming increasingly more popular is to market your property on your own. The best method to do this is through your city council or department of public works and safety. Many cities have e911 and Federal funding initiatives that will pay for tower development if it falls within an area where police and fire have no wireless access. You can submit it to the carrier or tower company directly giving them as much info as possible about your site. However, we recommend approaching your city council directly and developing a case study with them and this often makes a much more compelling case versus an individual property owner themselves. We recommend taking screen shots of our map data to your city and show the number of cell phone coverage complaints or dropped calls by carrier in your area: See this example of AT&T Beverly Hills. If you get caught using your cell phone while driving the fine will range anywhere from $20-$125 depending which State you are ticketed in. Cell phone ticket laws and fines vary drastically from state to state just like photo enforcement. 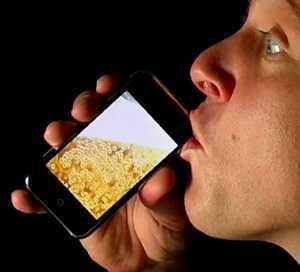 However, many are proposing to raise the fine to make you really think twice about putting the phone up to your ear. Here are some startling statistics about accidents and deaths while using a cell phone while driving that might make you think twice. 2,600 people are killed each year as a result of using cellphones while driving. Estimates are that another 330,000 are injured. 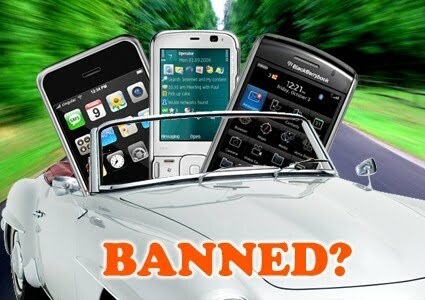 21% of fatal car crashes involving teenagers between the ages of 16 and 19 were the result of cell phone usage. This result has been expected to grow as much as 4% every year. 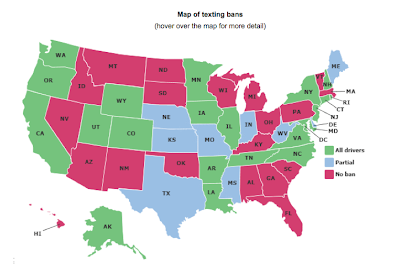 The following are a list of states that ban drivings from using handheld devices and texting while driving. Hey iPhone users you have all been "drinking the sauce" and supporting two of the biggest fraudulent marketing scams in US history: AT&T's Coverage Maps and Apple's iPhone Reception! 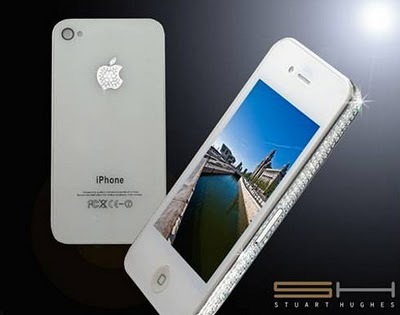 Users have reported that iPhone 4 can drop 4 or 5 bars when tightly held in a way which covers the black strip in the lower left corner of the metal band. Apple claims that the formula it uses for calculating signal bars has been wrong for years, and that this is the cause of the iPhone 4's mysterious reception problems. Apple: "Our formula, in many instances, mistakenly displays 2 more bars than it should for a given signal strength. For example, we sometimes display 4 bars when we should be displaying as few as 2 bars. Users observing a drop of several bars when they grip their iPhone in a certain way are most likely in an area with very weak signal strength, but they don't know it because we are erroneously displaying 4 or 5 bars. Their big drop in bars is because their high bars were never real in the first place." Why was Apple displaying a signal based on their own calculation, instead of yours? Does this mean Apple should be blamed for dropped calls and network issues? Are Apple's antenna designs causing signaling problems for your network? 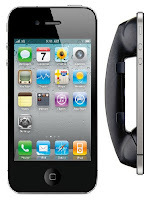 Will Verizon have the same iPhone issues if they use the same antenna? How will changing the display fix the antenna problems? Where Does AT&T Drop Calls? The media has made a very big deal about the iPhone 4's antenna problems and whether or not a bare-handed grip will cause signal bars to drop. Even if you are the type of person who normally doesn't consider a case for your iPhone, reading all of the reports might give you second thoughts. Here are 10 expensive, free and creative ways that are different from the traditional leather and plastic cases to fix the iPhone 4 external antenna problem. 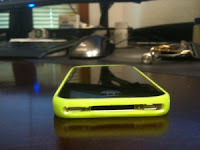 The Apple Bumpers come in six colors for $29 each. Rip-off or not it should be give away for free.